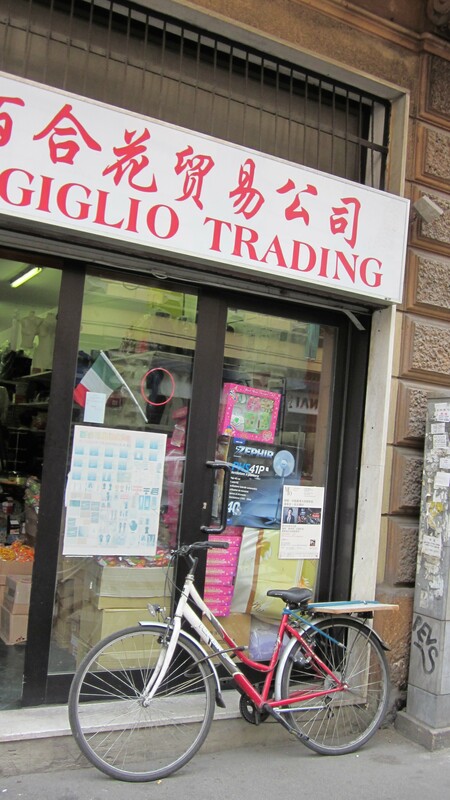 The blog has been on hold recently due to my moving to the area around via Paolo Sarpi – Milan’s “Chinatown.” This is a fascinating neighborhood that has exploded in the past decade or so with Chinese wholesalers. It is an ideal place to see how immigration, trade and globalization effect modern Europe. The small streets brim with outlets selling cheap clothes, costume jewels and watches, plastic toys, electronics, industrial items, and every other type of mass produced good imaginable. (Although I’ve yet to find an outlet for cheap kitchen goods as serviceable as Ma Cosa?! in my old neighborhood on via Farini.) The Chinese food on offer looks to be much more adventurous than what you typically find in the West, and the density of the old streets, full of purposeful activity, lends the place a vibrant air that is at once familiar and alien – that couldn’t be more different from the Chinatown in my last place of residence, which was based more on tourist’s eating habits and less on trade and commerce. Along via Rosmini and via Bruno, most of the shops appear to be tiny storefronts. A proprietor stands guard outside in the mild fall weather, and at various points during the day men rush masses of boxes into the store. 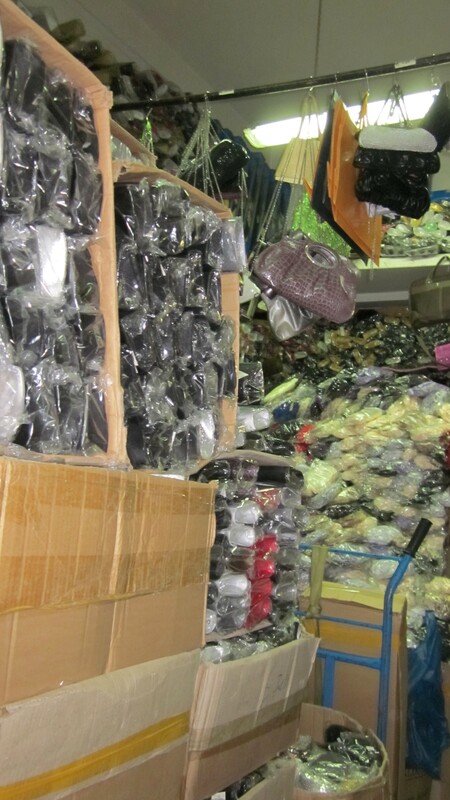 A less cursory look reveals that many that many storefronts are essentially warehouses that sell only to wholesalers. Many of the shops adjoin large ring-shaped apartment buildings ringed around a central courtyard. More boxes arrive via van, truck or in the case of smaller streets, the ubiquitous bike outfitted with sturdy wooden shelves above both wheels. In perhaps a sign of the shape of things to come, these trattorie that make risotto alla milanese or osso buco have Chinese cooks or managers; I struck up a conversation with a Chinese butcher working at the deli counter of a decidedly Italian grocery as he cut me prosciutto, immeasurably thin just like most Italians like it. 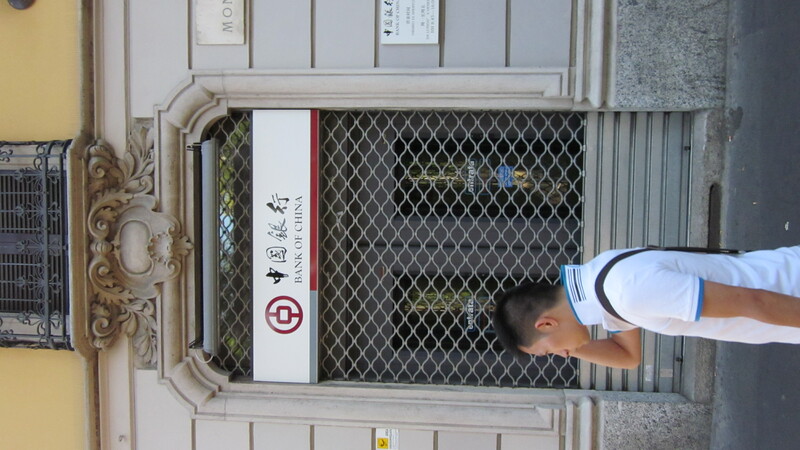 These experiences are, or should be, commonplace to any resident of northern Italy – Corriere della Sera publishes a Chinese edition, the Duomo’s tourist office has signs written prominently in both languages, and even tiny Veneto hamlets like Villanova del Ghebbo have burgeoning Chinese communities – but might come as a surprise to the non-resident, who might’ve read news of the 2007 ‘riots’ in Chinatown with a hint of surprise that such a place even exists. This post, in addition to being an update, should serve to remind the reader on the other side of the Atlantic that the Chinese influence is being felt in a myriad of ways, across both sectors and geography. No matter what the area of competitive advantage, China cannot escape notice. So, in New York talk may center on the (under)valuation of the renminbi; down in DC, Congress and the Pentagon publish volumes guessing as to China’s military capability; but here in Italy the focus is, of course, on clothing, shoes and leather – Italy’s historic areas of advantage. A diverse capital for a monoethnic party? The Northern League often proclaims Milan as its Padanian, and presumably monoethnic, capital. The most cursory visit to Milan’s via Sarpi should reveal the folly of this. The Chinese are here to stay, and I look forward to updating readers on the goings-on in this nexus of cultures and economics. A match rooted in the travels of Marco Polo... va tranquilo, Senatur! 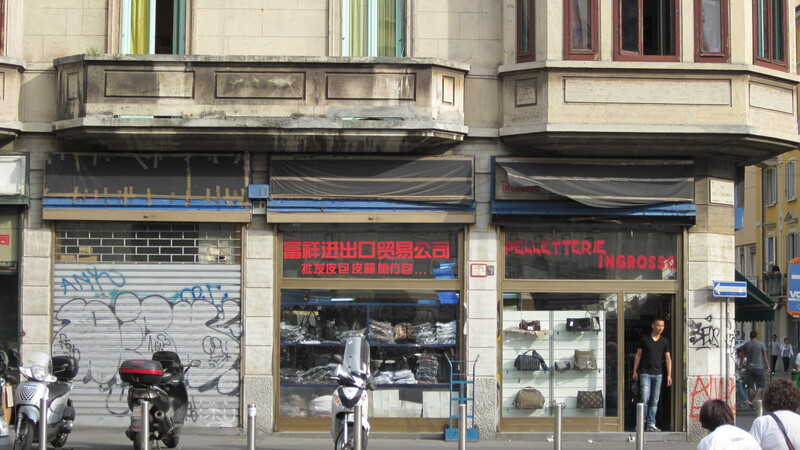 This entry was posted in Chinatown, Chinese, eu, immigration, italy, lega nord, maroni, Via Sarpi and tagged China, chinatown, Chinese, Ethnicity, immigration, lega nord, Milan, northern league, via paolo sarpi. Bookmark the permalink. Sounds promising, though I contend that the worst Chinese food and restaurant service I’ve ever had has been in Rome, at three different venues! Well, sorry to hear, but isn’t somewhat surly service part and parcel of the Chinese food experience? 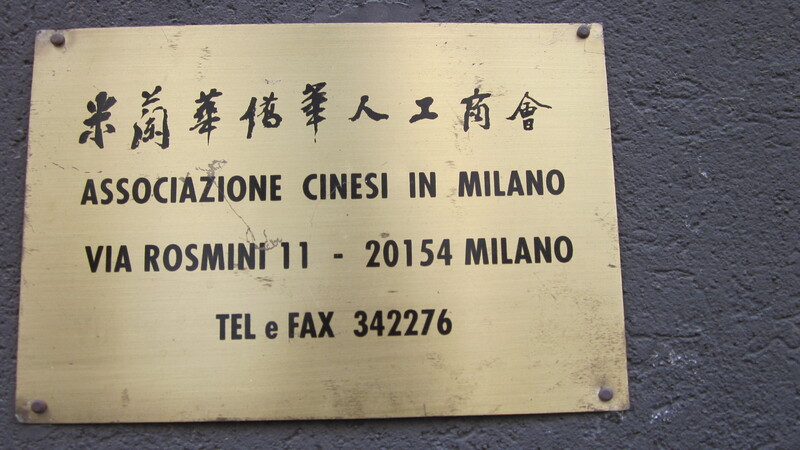 Also I’d be curious as to what kind of Chinese places these were – did it serve Italians, expats, or other Chinese? The market for ethnic food catering to Italians is emerging very tentatively. As is in the US and other places, what Chinese cook for their hosts reflects their tastes (e.g., heavy on noodles and rice in Italy, sweet and full of sauces in the US, heavy on the meat in Czech Republic). I’ve had terrible Mexican in Bologna (and even worse in Skopje) at restaurants run neither by nor for actual Mexicans. But I’ve some of the best Chinese of my life at Hua Cheng on via Bruno here in Milan, where my colleague and I were the only Westerners. It really depends on what clientèle the place is catering to. Of course, I’m very tempted to ask why you didn’t do as the Romans do. Did you have carciofi alla giudea in the ghetto or some of the very excellent frattaglie on offer in Rome? I was tempted to say something like “food is but one part of the general economic investigation underway here” but I was reminded of Tyler Cowen’s quote that “restaurants manifest the spirit of capitalist multiculturalism. Entrepreneurship, international trade and migration, and cultural exchange all come together in these communal eateries.” And remember, all food is ethnic food. I cannot recall the other clientele at the establishments. These were out-of-the-way places and may have served locals. As I was not one, and my Chinese is worse than my nonexistent Italian, likely dimming my chances at meaningful dialogue. (and before you quip that I should have learned Italian first, know that I was bumbling around Europe on a train and already had my head mixed up with Spanish, French, Flemish, German and Danish). But I wonder, too; just what kind of Chinese places were these? I am more guilty of not eating only Italian food. I think I was just enamored at the time with being lost and hungry and stumbling into where I would. The Italian meals I had there were top-notch, from construction site take-out to tableclothed dinners. 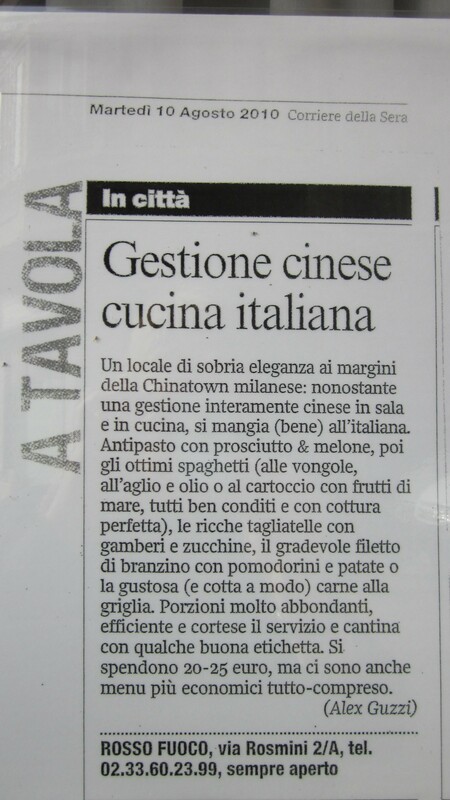 Anyway, at least I have this story and can say I had crap Chinese in Rome three times. Ajde na plastic skara!